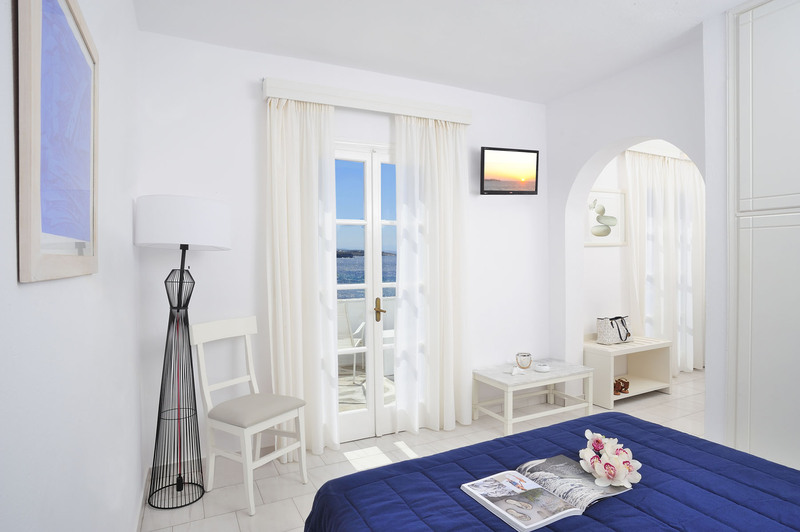 Panoramically built on a little hillside above Megali Ammos Beach, Mykonos Beach is a bungalow style hotel in Mykonos Island that combines the traditional Cycladic style with modern characteristics and the art of hospitality. 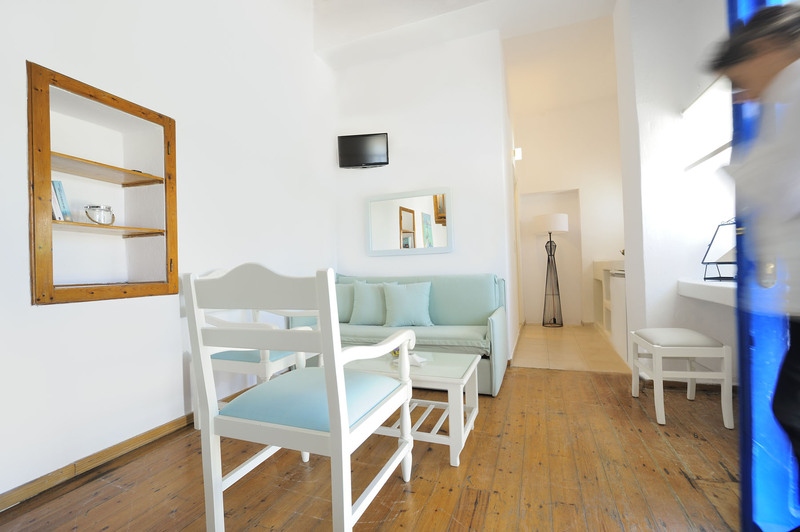 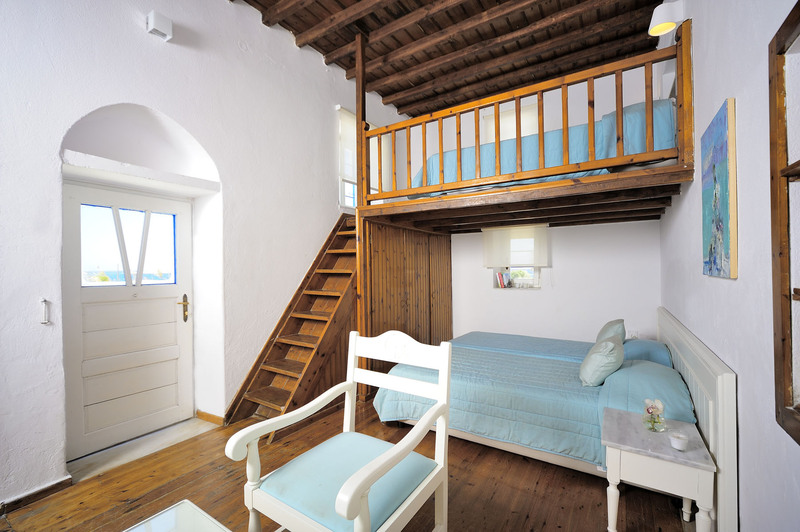 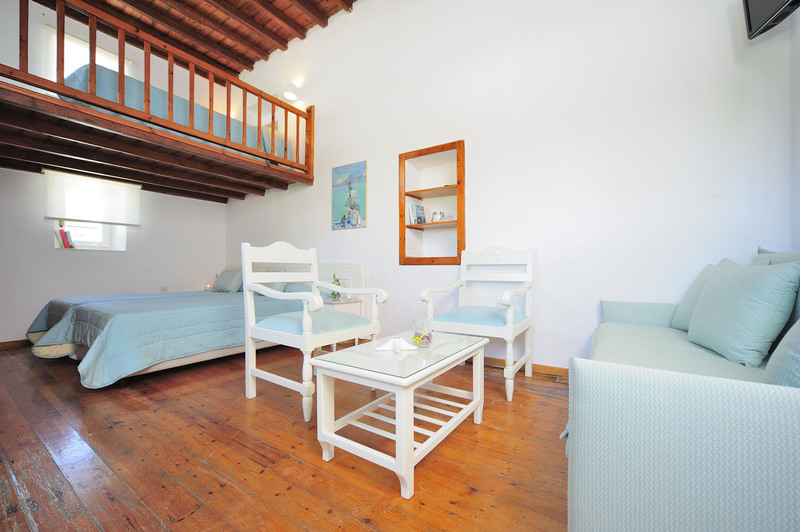 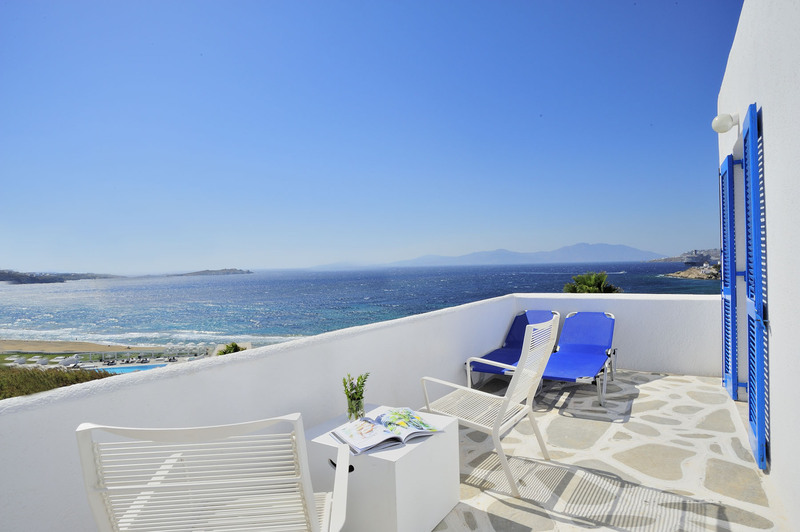 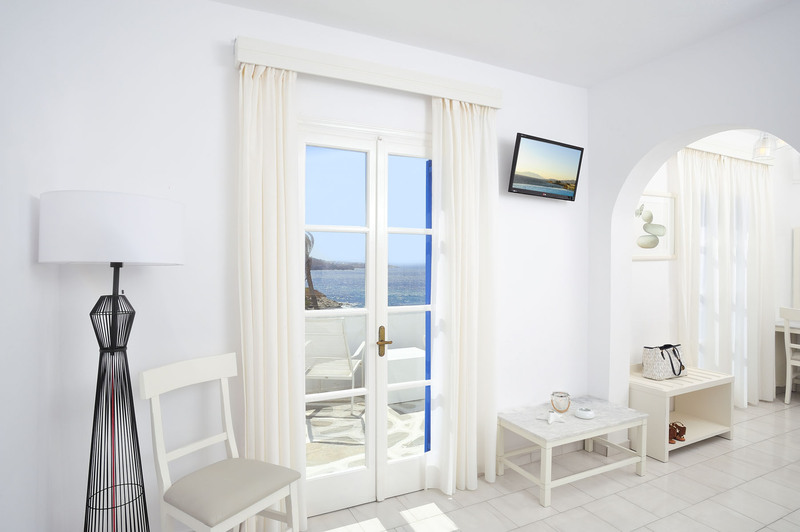 Mykonos Beach offers sea view accommodation in comfortable, Mykonian style rooms, just a few meters away from the beautiful sandy beach of Megali Ammos, the nearest beach away from Mykonos Town. 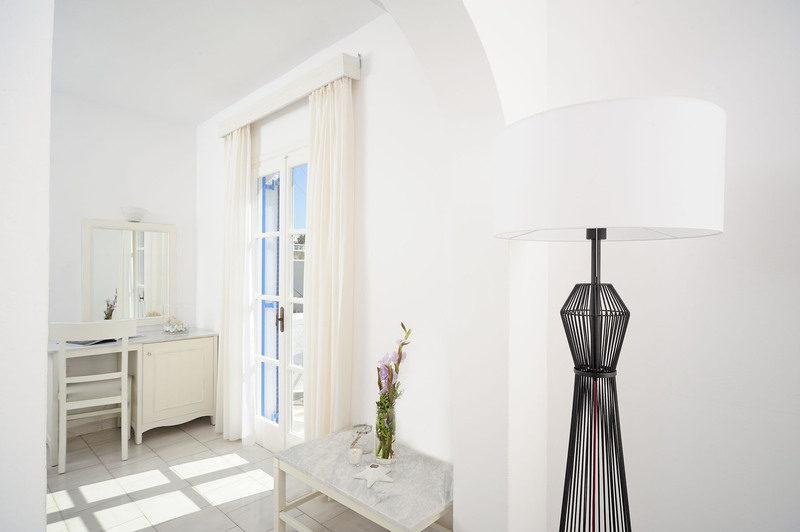 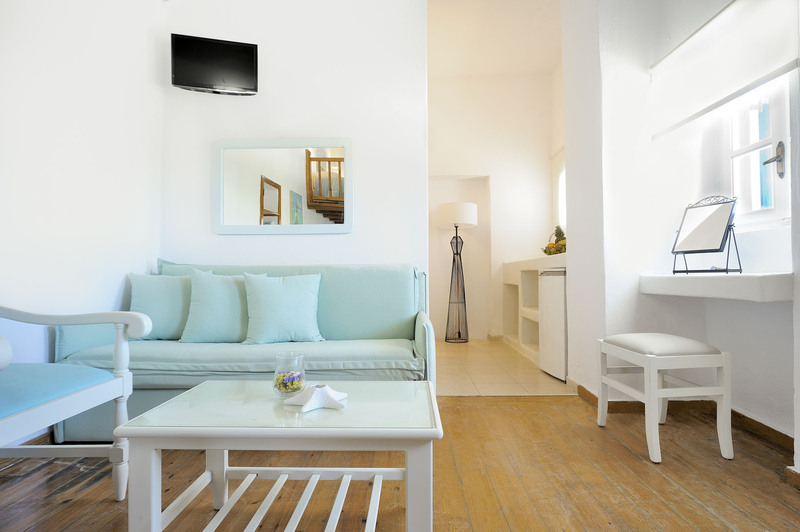 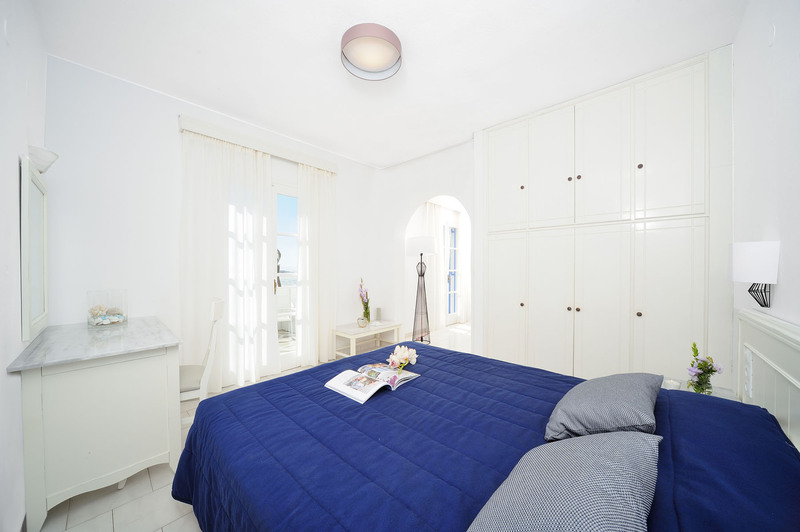 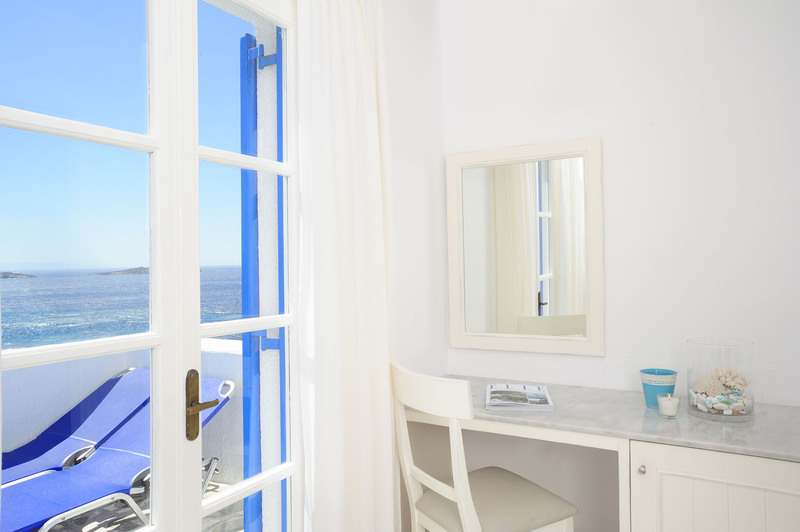 Overlooking the immense Aegean Sea, Mykonos Beach hotel provides clean, comfortable and affordable accommodation in Mykonos Greece, with a heartfelt authentic Greek hospitality. 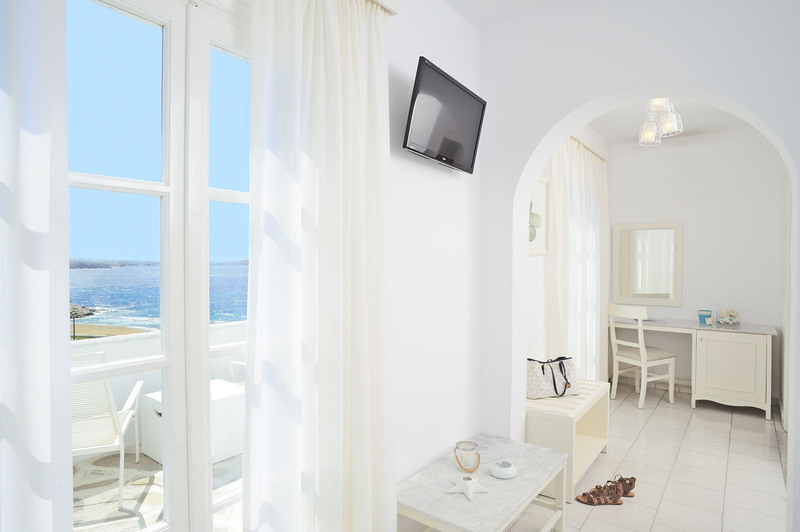 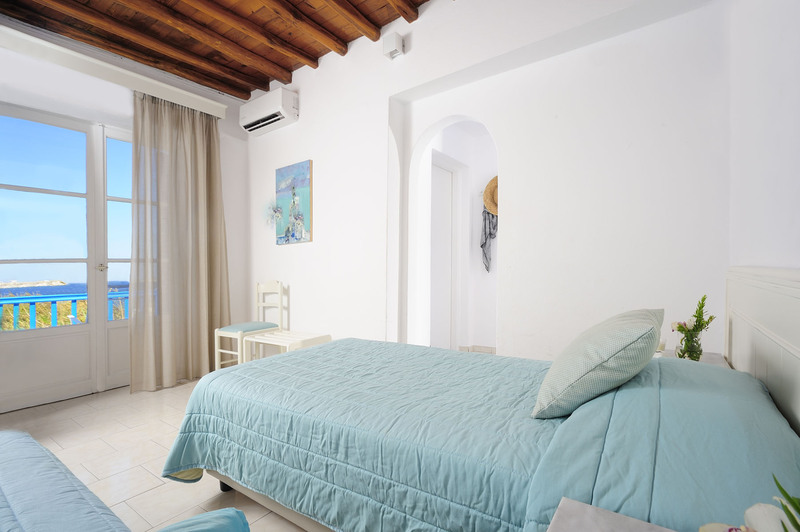 The privileged position that room units have been built, offers a supreme view of the Sea and moreover, every room provides a private balcony with table and chairs as well.